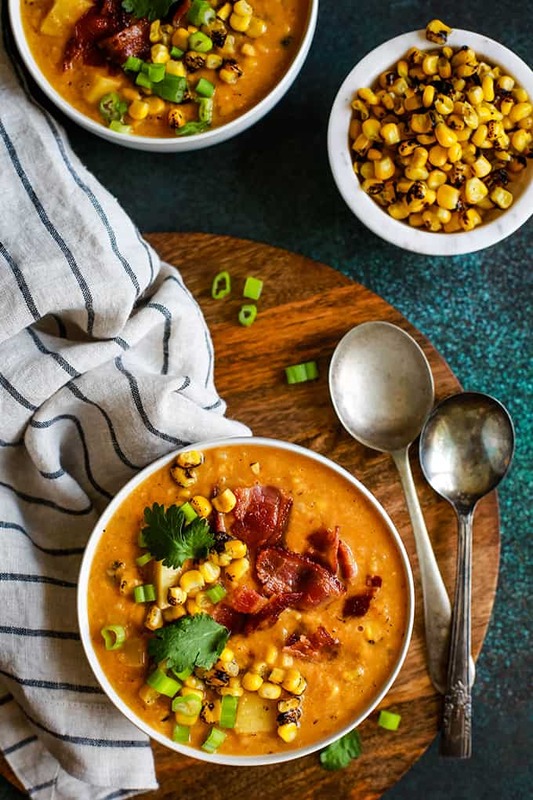 This Slow Cooker Chipotle Pumpkin Corn Chowder is like autumn in a bowl. A hearty chowder that’s a bit earthy, has a little spice and, of course, all the best garnishes! When you have four children and those four children have after school activities the slow cooker becomes a mama’s best friend. At least twice a week it’s sitting on the kitchen counter awaiting our arrival home and making our house smell all kinds of delicious. 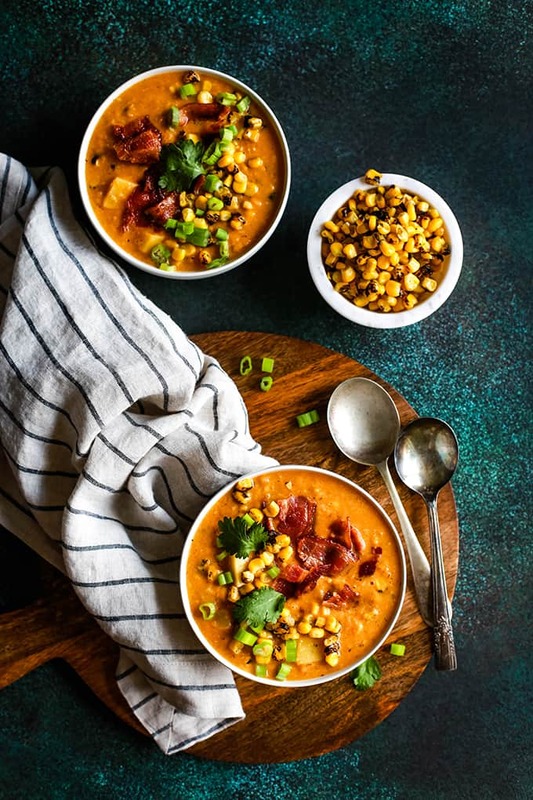 This Slow Cooker Chipotle Pumpkin Corn Chowder was my most recent success and one we’ll be enjoying often, especially as the weather turns colder. If you’re not familiar with corn chowder, let’s go over the basics. Corn chowder is a type of soup prepared using corn as a main ingredient. A basic corn chowder recipe’s ingredients consist of corn, onion, celery, milk or cream and butter. Additional ingredients sometimes include potatoes, pork, fish, seafood and chicken. 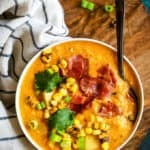 My Potato Corn Chowder has been a long time favorite but I love how this Slow Cooker Chipotle Pumpkin Corn Chowder is even easier, yet has more layers of flavor. 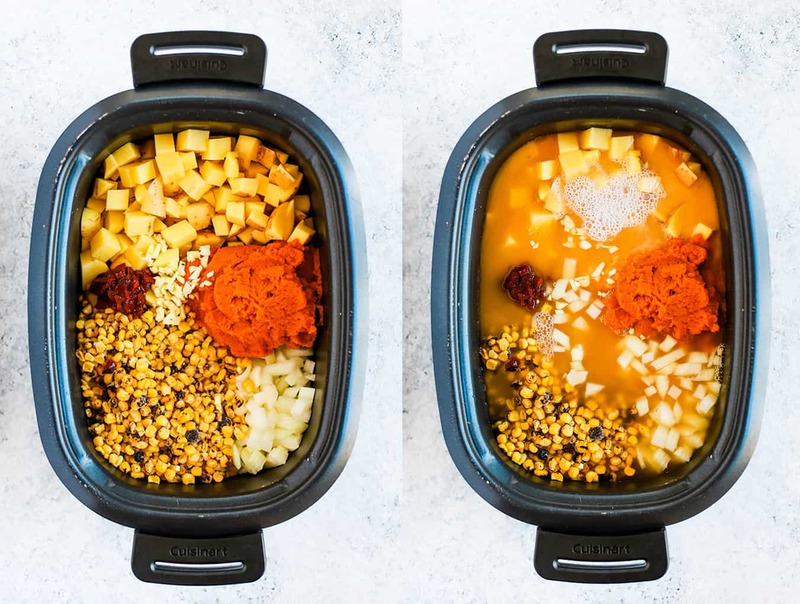 Ready to make my not so traditional Slow Cooker Chipotle Pumpkin Corn Chowder? Let’s get started! I’m betting most ingredients you’ll already have on hand or are easily available at your grocery store. I do use frozen fire roasted corn in this corn chowder recipe but if you aren’t able to find it, you could substitute your favorite frozen corn instead. I love that the fire roasted corn gives another layer of flavor to this easy chowder. The addition of canned pumpkin puree lends an earthy flavor to this corn chowder recipe. It also helps to balance the spicy notes from the chipotle peppers in adobo. This is where I’d be remiss to say that because this is simply pumpkin puree, there is nothing sweet about this soup. The pumpkin flavor is also not overpowering. If I didn’t tell you that it was an ingredient in this chowder or you weren’t curious about the gorgeous orange color, you’d likely never know it was present. 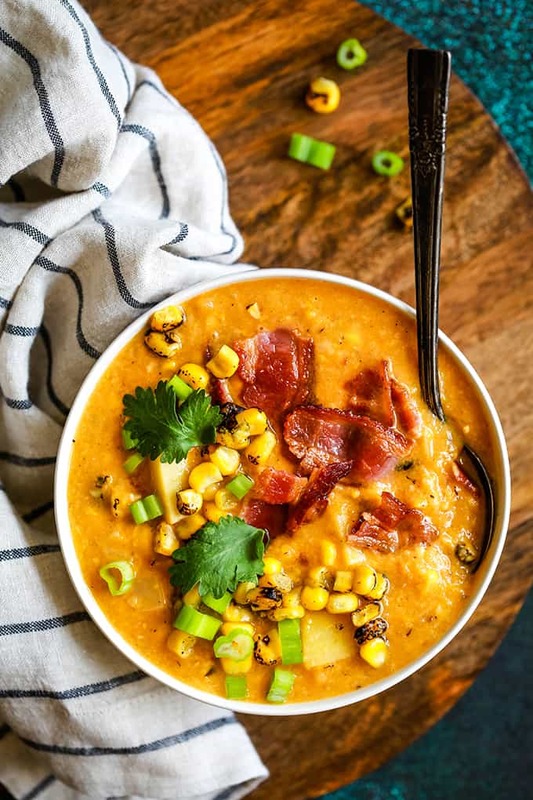 This Slow Cooker Chipotle Pumpkin Corn Chowder recipe requires minimal prep work. You’ll need a knife and cutting board to dice and mince the garlic, onion, chipotle peppers and potatoes. All other ingredients are simply added to the slow cooker insert and stirred together. I’d be lying if I didn’t admit to the garnishes of my Slow Cooker Chipotle Pumpkin Corn Chowder being my favorite part! First up? Bacon. Specifically 12 strips of my Oven Roasted Bacon, the easiest, no mess way to prepare bacon. Fresh cilantro and chopped green onion as well as additional frozen fire roasted corn complete this quartet of garnishes. My children also love that they have the ability to “decorate” their soup bowls in any way that they’d like. I believe that giving them this control of their meal allows my two pickiest eaters to overlook any heat that the chipotle peppers might lend to this chowder. 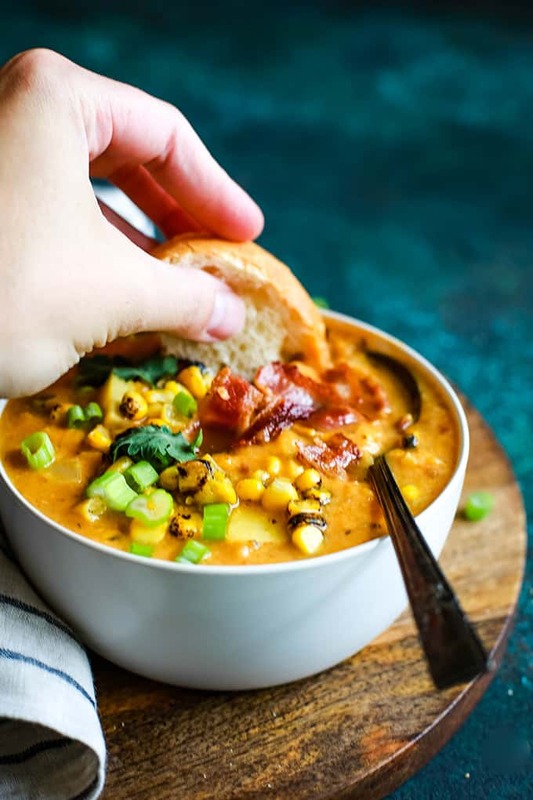 Honestly, this Slow Cooker Chipotle Pumpkin Corn Chowder is more than enough by itself, but I also happen to have a weakness for a bread of some sort served alongside soup. I’ve served this corn chowder with both Parmesan Garlic Bread and my Pumpkin Cream Cheese Skillet Corn Bread and enjoyed both so much I couldn’t pick a favorite! 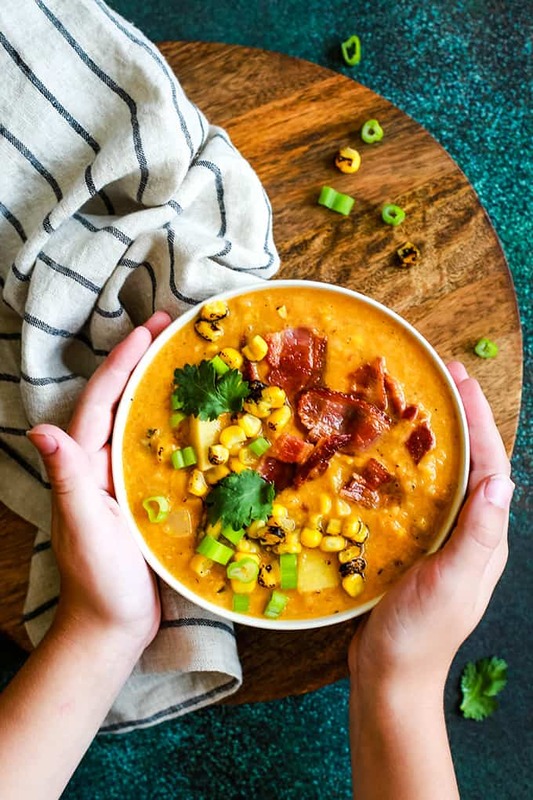 Can You Freeze Slow Cooker Chipotle Pumpkin Corn Chowder? Don’t have a large family of six that you’re feeding for dinner? 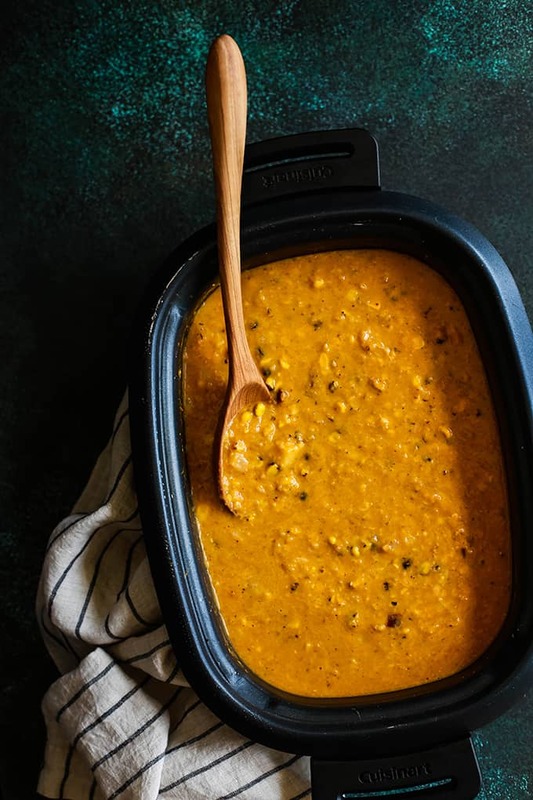 I still recommend making all six quarts of this Slow Cooker Chipotle Pumpkin Corn Chowder as you can easily freeze any leftovers for a future meal. Leftover chowder can be stored in an airtight container for three months. 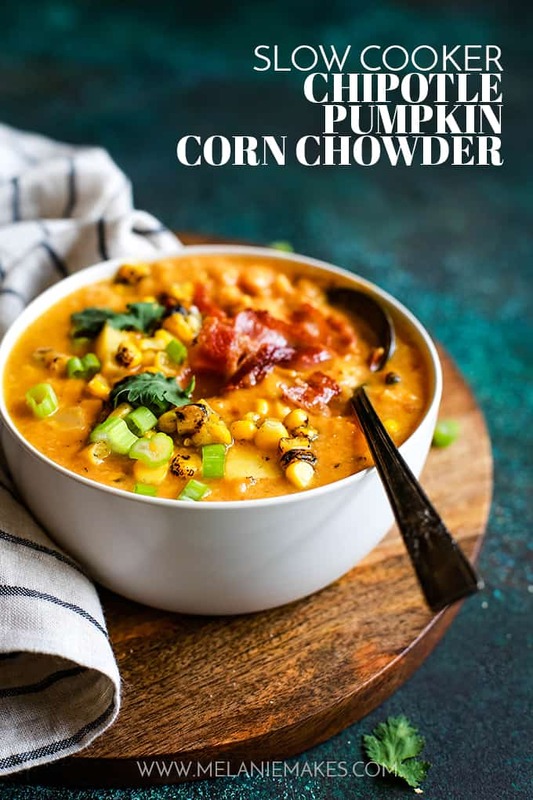 This corn chowder would also be an easy way to meal prep and then freeze in single serve containers for an easy meal option. In an insert of a 6-quart slow cooker, add onion, garlic, corn, potatoes, pumpkin puree, chipotles, salt and pepper. Add chicken broth and milk and gently stir to combine. Ladle soup into bowls and garnish with bacon, fresh cilantro, chopped green onions and additional corn. 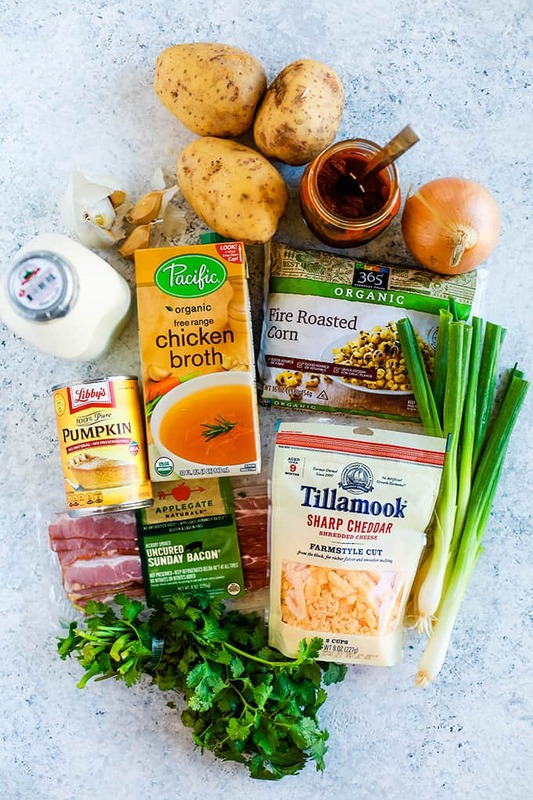 After trying this Slow Cooker Chipotle Pumpkin Corn Chowder you might want to add this Smoked Salmon Chowder, Manhattan Clam Chowder or Gluten-Free Quinoa and Cauliflower Chowder to your next menu plan. Made this today for a cold NH USA winter.... Thank you so much.. just added leeks (white to light green part) and celery.. Taste amazing... thank you. Thanks so much for letting me know you enjoyed it, Todd - so appreciate it! Love how you made it your own with even more veggies! What do you think of substituting sweet potatoes for the Yukon’s? Hey, Julie! Great question! I think as long as you've cut them in the same and uniform size, it should work! Let me know if you give it a try - would love to hear your thoughts! This might be a dumb question - is the nutritional breakdown for one serving or for the whole recipe? It looks amazing, I can’t wait to try! Now this is a savory pumpkin recipe I cannot wait to dive into! Definitely one of our new favorites! I could go for a giant bowl of this right now. I love how you incorporated all these amazing flavors. The flavors in this sound out the world incredible. 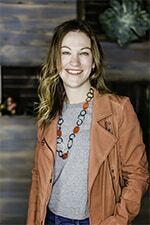 Pinning for later this fall. Can't wait to hear what you think, Tanya! What a delicious idea! I need to try this ASAP! Mouthwatering! This will be great to have for dinner tonight! This looks delicious! I love using pumpkin is savory dishes! Yum! I'm such a fan of corn chowder and I love adding pumpkin to savory recipes. I know exactly what you mean about it not being overpowering. It's such a mild flavor and most people don't realize that because of pumpkin spice everything but the key word there is spice. Pinning this to make next week and freeze some to have on hand for when my babies are born. Oh this looks and sounds SO good, please pass me a bowl of it! Absolutely, Kimberly - definitely a new favorite! This chowder looks soo delicious!! Thank you so much, Sheenam!